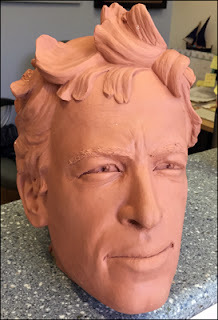 Local artist Bill Limebrook is creating life-size statues of some of the more iconic local figures such as Hobie Alter, Phil Edwards, John Severson, Walter and Flippy Hoffman, and Bruce Brown, among others. Bill is loaning us the original clay head that was used to make the bronze final version. It will be on display as part of our Tribute to Bruce Brown.